Big, glossy noisy show-offs. Very common in southern Midwest and West. Timing: year-round. Prefers rural and suburban areas. 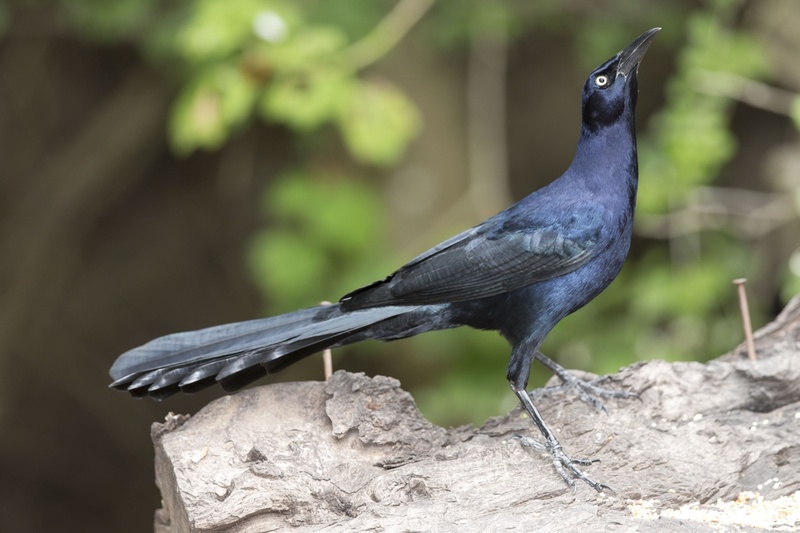 Large with a long, straight bill; plumage is glossy black with yellow eye. Sometimes flock in tens of thousands – up to a half- million in Rio Grande valley, TX. One of our fastest expanding species. Diet includes seeds and arthropods, as well as small animals. Oldest wild individual recorded was 8. Population ~ 8 million.